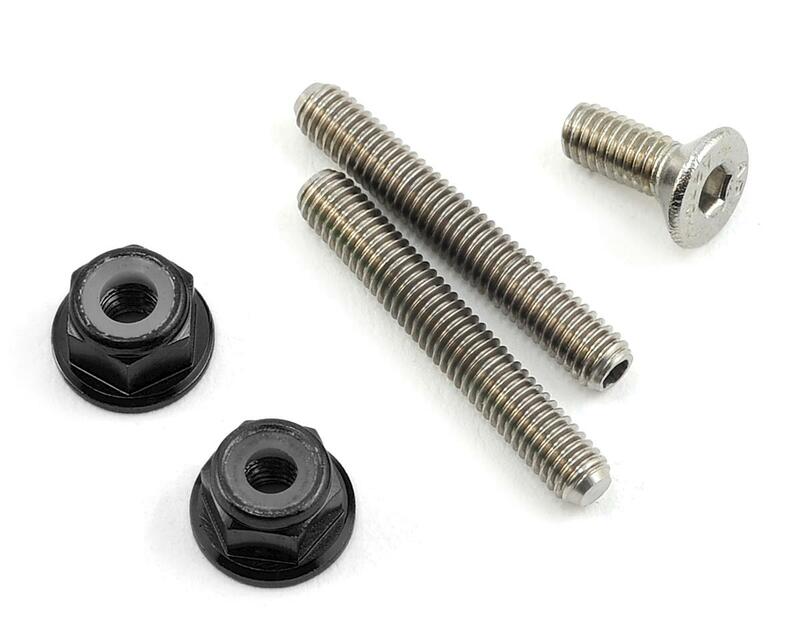 The 175RC Billet machine Grade 5 Titanium Lower arm Stud kit is a great upgrade for your 2wd truck or buggy. 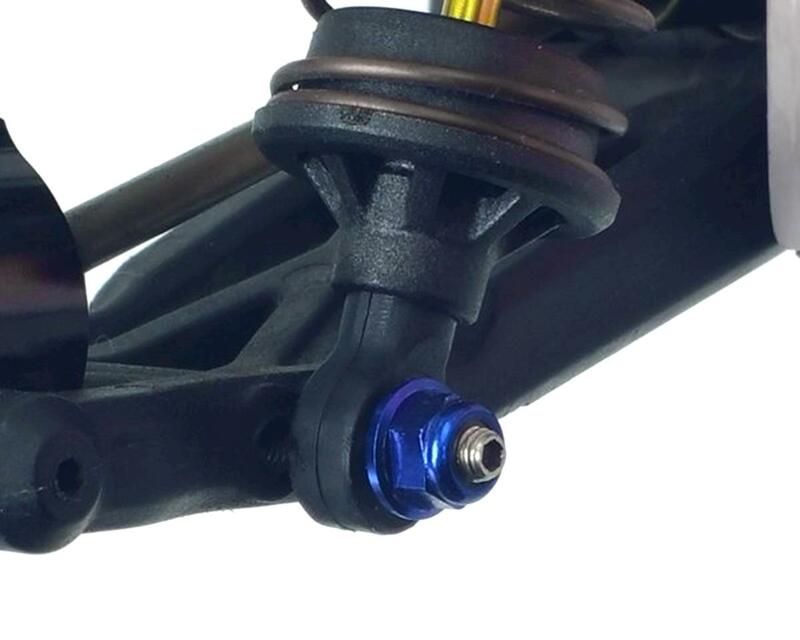 This option is not only super light but also increases strength in your rear arms because you are not repeatedly threading a screw in and out when removing your shocks. Pick your favorite anodized color. 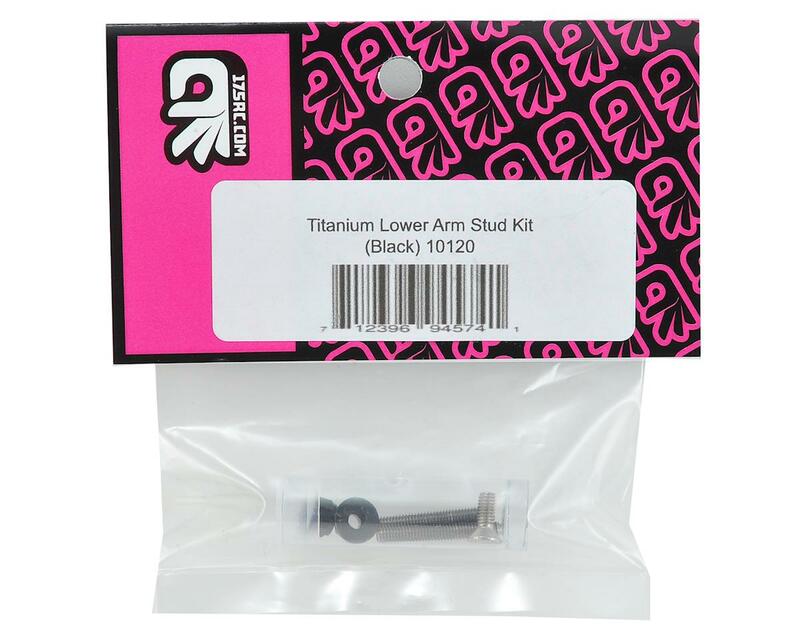 Note: Use M3x8 Steel screw to pre-thread hole in arm approx 8mm deep.